"They are crazy," my friend said. I could hear the astonishment in her voice. Tilde was performing her own impression of Don Quixote. She had just raced away, chasing a seagull, flying unreachable high up in the air. Zerline, who had no clue about the seagulls flying above, ran after Tilde anyway. When the seagull was almost out of sight, Tilde stopped and looked up in the air above her for a new victim. Zerline started to circle around Tilde like a hopping hare, anticipating the start of the next race. She didn't have to wait long. Tilde spotted another seagull and off they went again. Zerline is not out of adolescence yet but her personality is now finding its final shape. A lot of what I saw in her and what Atie told me when she was an 8-week old puppy still holds true. In many ways she is Tilde's opposite. Where Tilde is impulsive, Zerline is more thoughtful. Where Tilde is outgoing, Zerline is more reserved. Despite their differences, they do make a great pair. They share the same high energy levels. They're both as inventive and active as the other too. I think it was that which my friend observed and I can understand how they would seem crazy, in the good sense of the word, when they show their intensiveness and energy levels. It reminded me of what another friend had said, when we visited a beach together where they were on holiday. After commenting how on earth it was possible for Zerline to act just as silly as Tilde already, she stopped and looked at me. "Yeah. How on earth could that happen," she said. She looked at me, then Tilde, and back at me again, before she started laughing out loud. I have to give it to her. 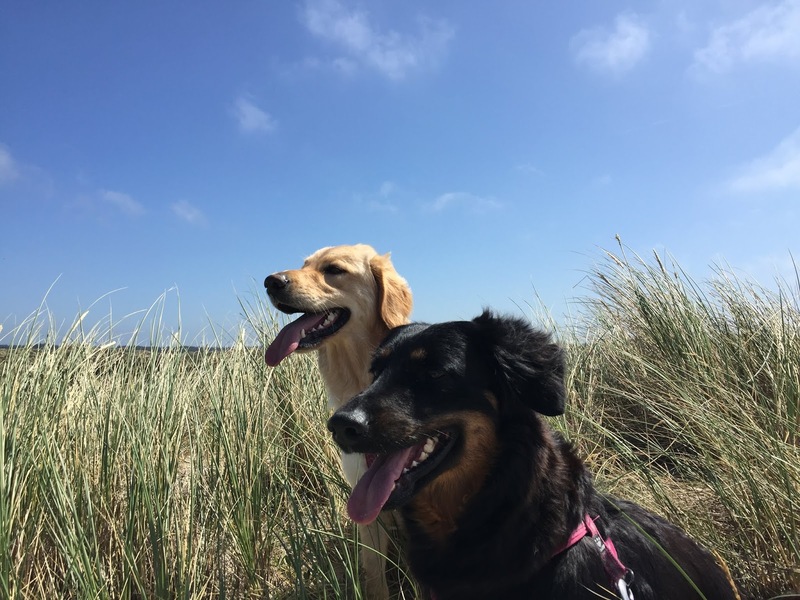 It might not only be Tilde and Zerline, who posses just a touch of crazy, although I haven't started chasing seagulls yet.